This is the surprise shoo in of my Bung Box mass order many months ago. 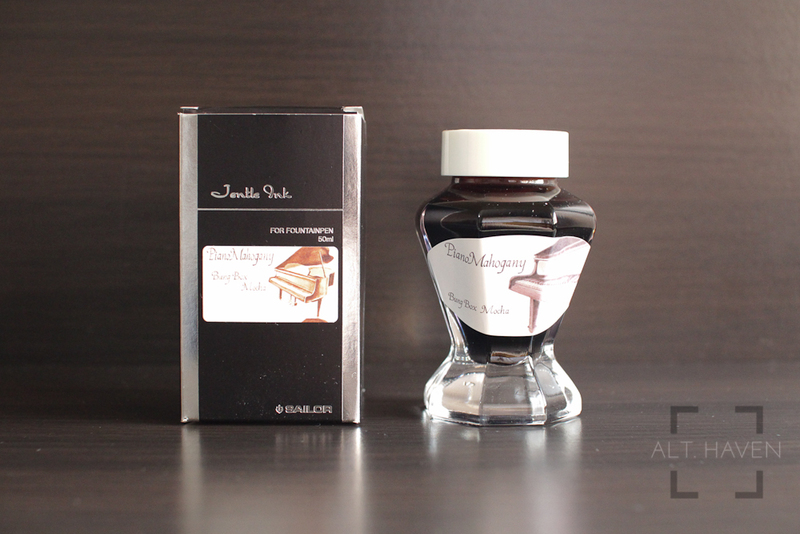 This like the other Bung Box inks that I’ve reviewed is a wet and saturated ink. It shades well even in a F nib. As a brown ink, it is very much in the redder side of the spectrum. It goes from a dark almost black like brown to a red brown mahogany colour. Hence its name. It’s a nice brown but personally I would prefer if it was darker.